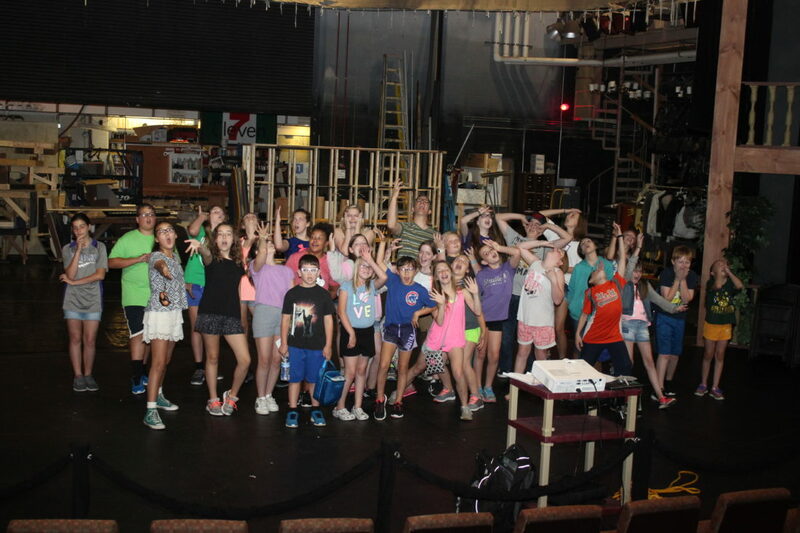 Photo Provided Campers in the first Performance Arts Camp at West Liberty University strike silly poses on the Kelly Theatre stage on campus on Thursday. On Friday, the campers performed a demonstration for parents of the skills they learned, using the “Brementown Musicians” play. Organizer Mike Aulick, West Liberty’s director of theatre in the College of Arts and Communications, said after this year’s trial run, he plans to hold the camp again next year. Photo by Brooke Miller West Liberty University held its first performance arts summer day camp last week. With lessons in acting, singing and performance skills, children ages 8-14 experienced jam-packed six-hour sessions. 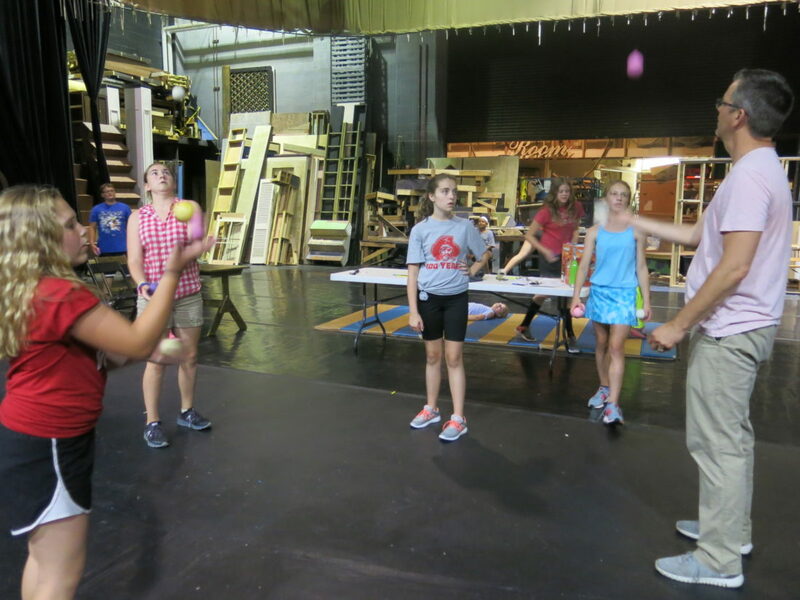 Practicing their juggling skills at WLU’s Kelly Theatre are, from left, Lexi Finley, 12; Jean Kalb, 12; Maya Sutphin, 12; Sarah Seiverston, 11; and Mike Aulick, West Liberty theater director and the camp’s director. Last week it was lights, camera, action on West Liberty University’s first Performance Arts Camp. The summer day camp for children ages 8-14 focused on teaching performance art and singing, all the while fostering creativity. Mike Aulick, West Liberty’s director of theater in the College of Arts and Communications, established the camp and ran its day-to-day operations. 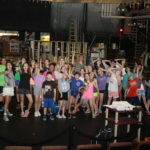 He wanted to do something over the summer and knew that Oglebay Institute’s Towngate Theatre summer camps fill up quickly. 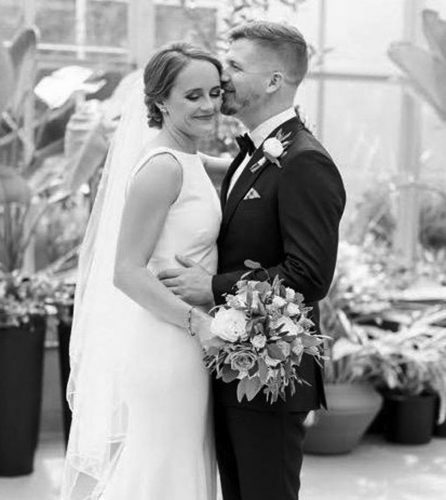 He found there was a greater demand for performance arts camps, and that he was inspired in part by his 14-year-old daughter Eliza’s own wish to attend a summer camp this year. Initially, the camp, open to children ages 8 to 14, was to offer dance, technical theater, singing and performance, but because of limited time to plan ended up with singing and performance art, he said. 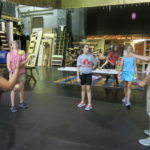 In the mornings, the 25 campers learned acting skills and played theater games. 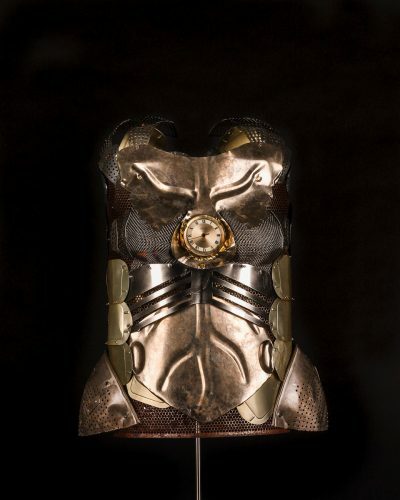 “We do body, voice and mind,” Aulick said. For example, the children focused on “Brementown Musicians,” a play that follows a band of animals. First, the children try to discern how an animal might walk as a lesson in using their body, he said. Second, they may try to emulate voices. If a donkey says “hee-haw” the kids may try to take those same voice inflections and apply it to conversational phrases, he said. Aulick said that through the morning session, he essentially wanted to teach the principals of acting and apply it to children’s theater. In the afternoon, children learned special skills that actors may use, such as pantomime, juggling and stage fighting, to spark creativity. These sessions, though not particularly geared toward acting lessons or theory, play an important role in fostering a child’s creativity, Aulick said. The first year of the camp proved a trial run. Aulick said he challenges included trying to balance material between children of so many different ages and so many different interests. “Some of the kids love theater, and some of the kids needed something to do over the summer,” he said. He does plan on running the camp again next year; however, he thinks he will structure it differently. Three-hour sessions were tough for such a large group of kids with vastly different ages, he said. Next year, he may opt to break up the sessions with more games and activities. He also hopes to establish a musical theater camp next summer in which campers will learn singing, dancing and acting, with a one act play or scene — that the campers themselves create — to be performed at the end. For this year, the campers performed a demonstration for parents of the skills they learned, using the “Brementown Musicians” play. 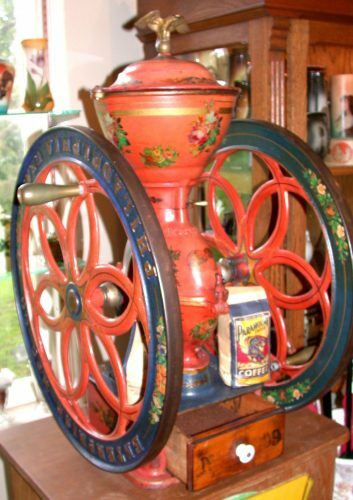 “I did it mostly to discover if there was an interest in the camp,” Aulick said. He will continue to search for feedback from parents to find which adjustments to make for next year. Aulick also took the camp as an opportunity to do a bit of recruiting. Next season, West Liberty will be performing two plays that require child actors. “About a quarter of these kids have done plays (at West Liberty) before,” Aulick said. The camp, he said, was a great way to get to know even more potential candidates for those roles next season.